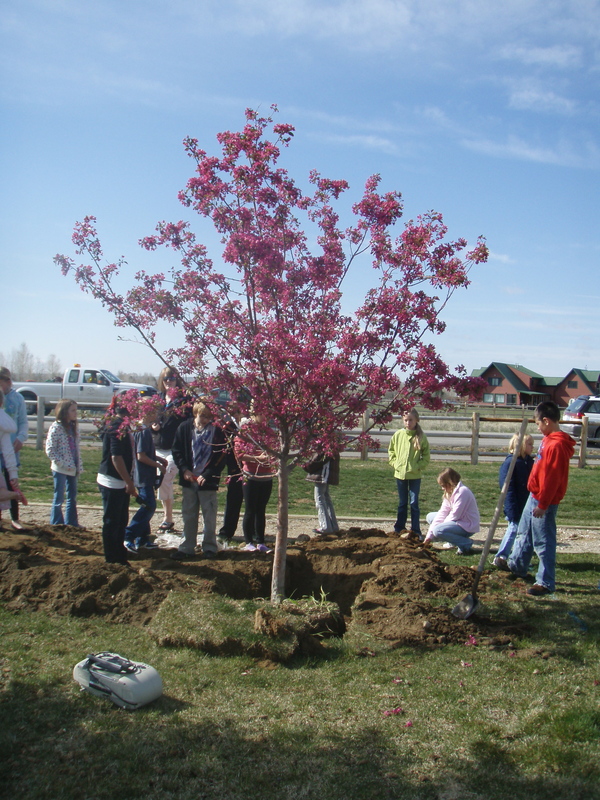 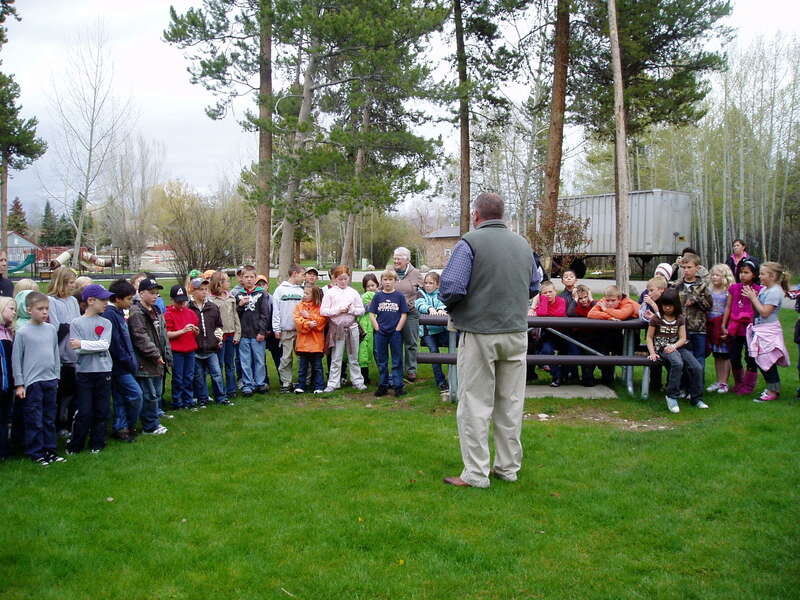 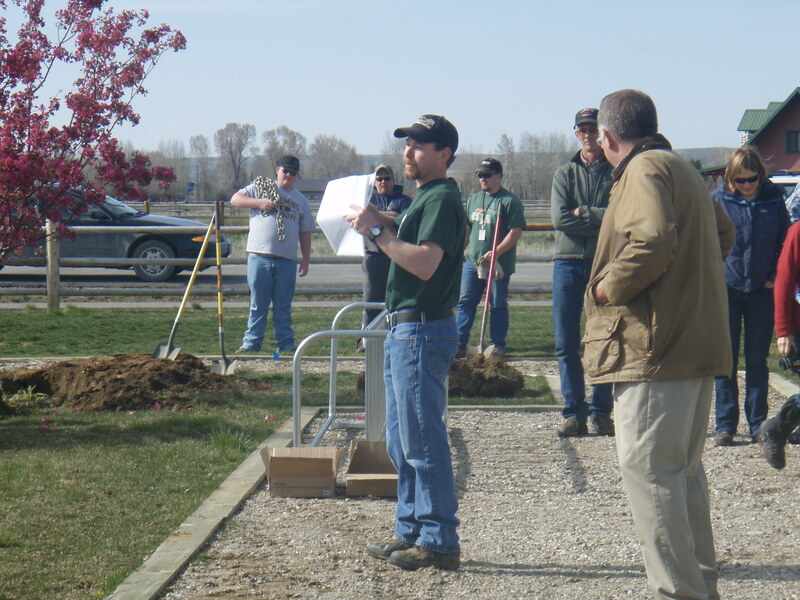 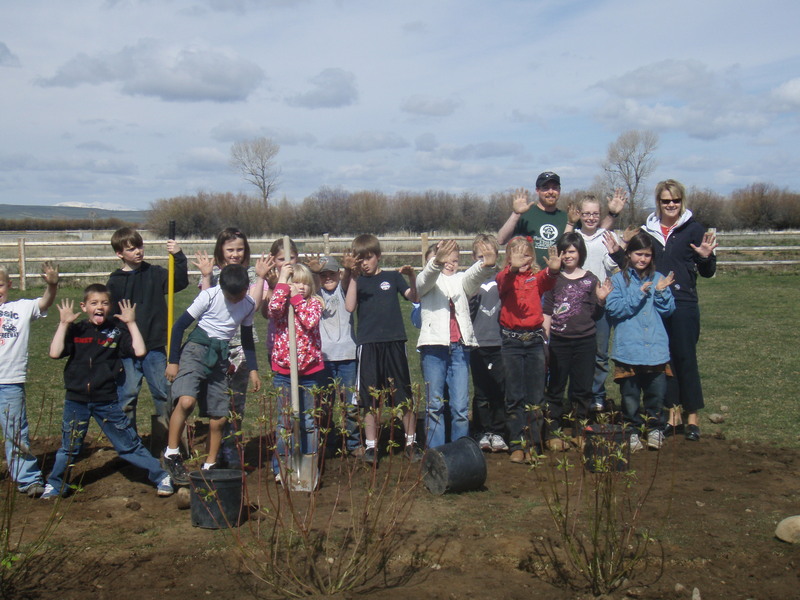 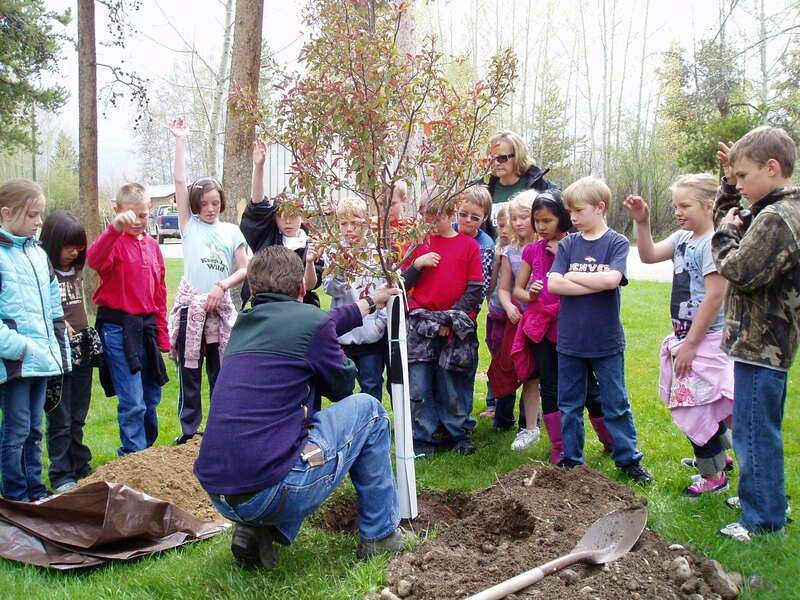 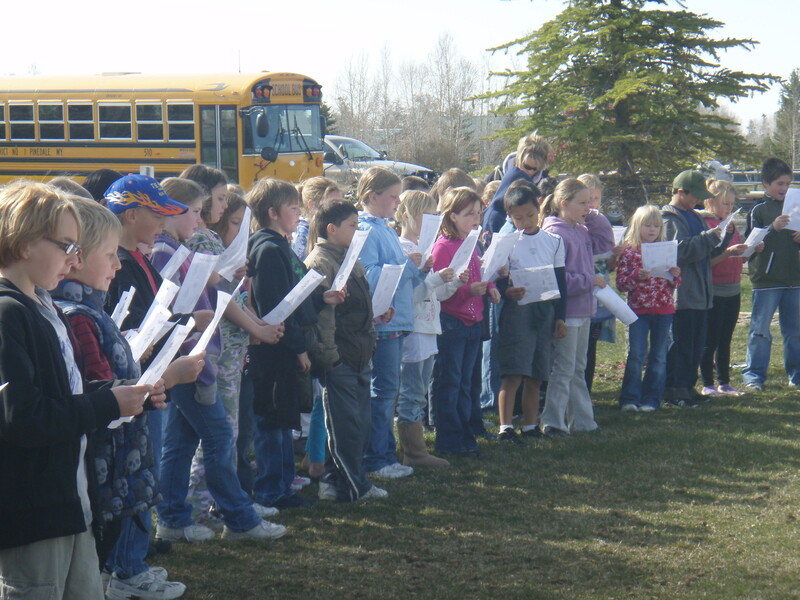 The Club has been involved with the annual celebration of Arbor day. 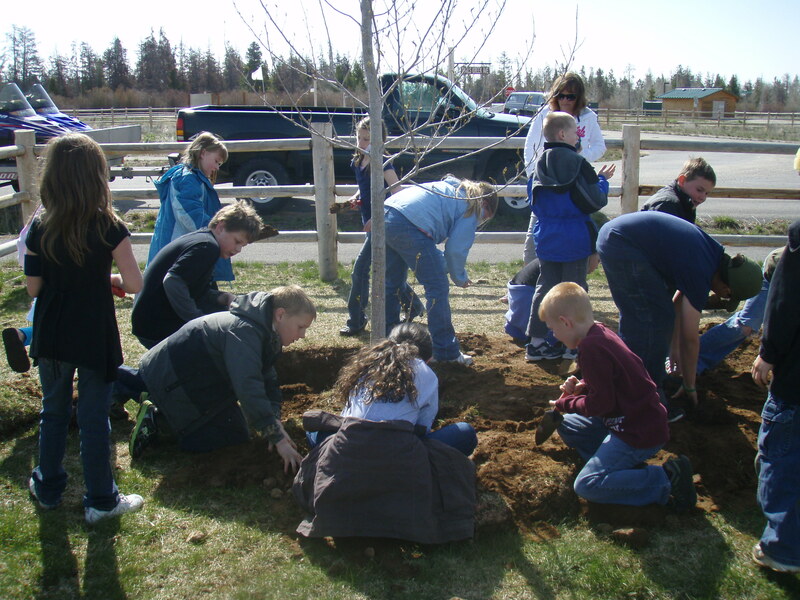 3rd graders from Pinedale Elementary School arrive at the planting site and plant trees in support of our Tree City designation. 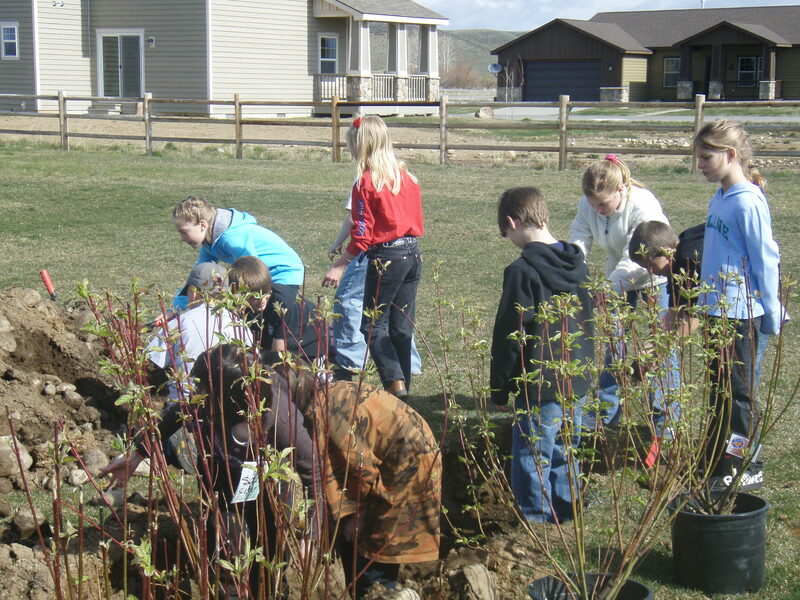 Important to get them straight Permission to play in the dirt !